So many of us in the video game and VGM scene are avid collectors of our favorite games and game soundtracks. Even the most manly fan would likely fork over a fair sum to own a dainty music box that played familiar tunes from the likes of Super Mario Bros. and Chrono Trigger. Unfortunately, mass-producing custom music boxes is not an industry many have gone into, and maybe some day we’ll see it tapped into like the video game music vinyl craze that’s been ongoing for the past year or two. Until then, Materia Collective and String Player Gamer have made up the difference by creating seven albums of classic video game music that have all been transcribed into charming music box covers. 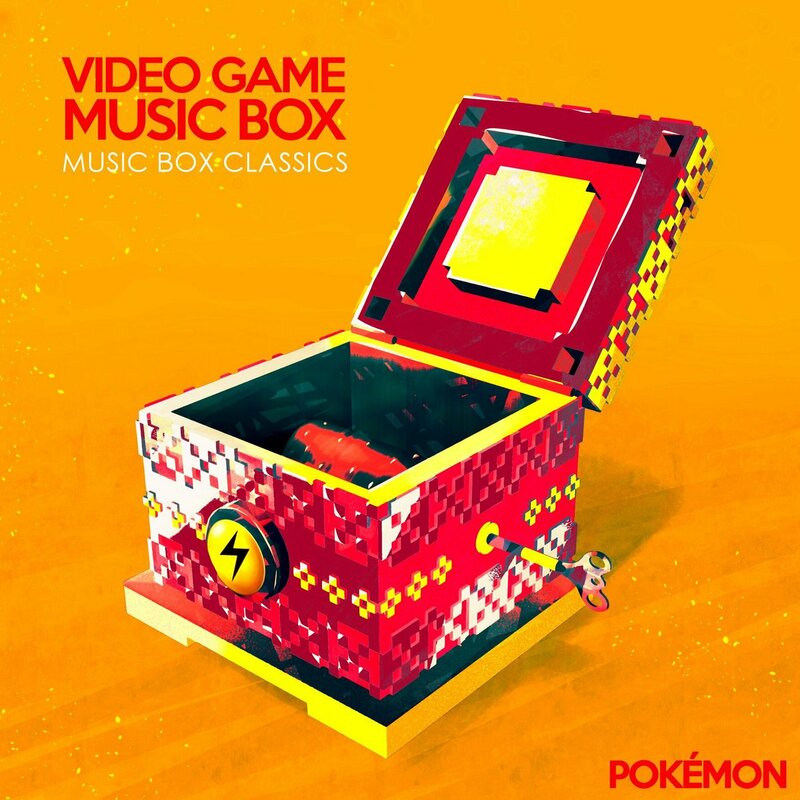 Video Game Music Box is a series of album that takes classic games such as Pokemon and The Legend of Zelda and turns their most beloved music tracks into renditions you’d hear straight out of a music box from the days of old. Each album grabs from music from either a select game or from several games across a particular franchise, and redubs them into simple music box chimes that seem to speak to the little kid in you, winding up our grandmother’s music boxes and listening to the melodies until it runs out. Thankfully with these albums, not only is winding them up not necessary, but unlike a standalone music box, you get more than just one tune. Each Video Game Music Box album is currently available for pre-order for $7 apiece and will release on August 14th. With any luck, it inspires some physical releases of video game music boxes sometime in the (hopefully near) future, because having a custom music box of Castlevania or Undertale music at your bedside would be about as delightful as it gets. Joshua Morse’s Castlevania remix albums VLAD and VLAD II contain some of my perpetual favorite EDM tracks, and they’re extra fitting around this spoOoOoky season. He’s made a tradition of releasing them just in time for Halloween only this year we’re getting a single instead of a 4-track EP. 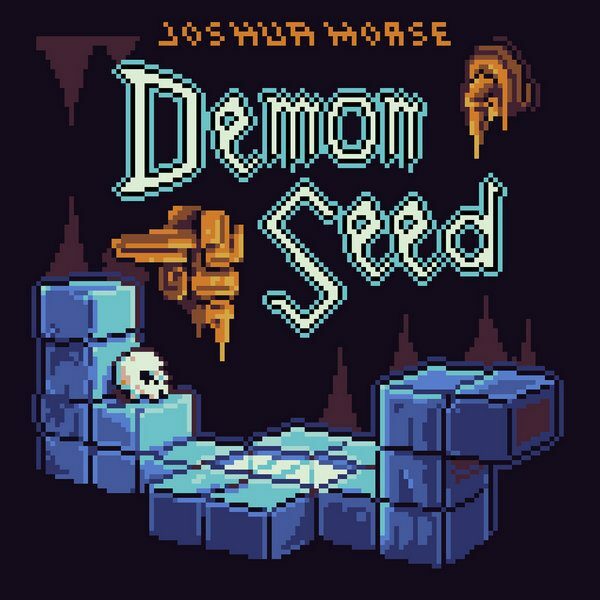 “Demon Seed” from Castlevania III: Dracula’s Curse was always a funky jam and Morse gives it his danceable electronic update here. Samples, breaks, and drops put a fun spin on the theme while the bumpin’ beat keep it all in step. Take a listen above and grab the track for pay-what-you-want over on Joshua Morse’s Bandcamp page. On June 30, 2017, Lakeshore Records announced they were taking pre-orders for the upcoming soundtrack to Netflix’s Castlevania. Canadian composer Trevor Morris has written the score and you may recognize his name as he composed the music for Dragon Age: Inquisition, and several notable TV series including The Tudors, The Borgias (whose theme song won an Emmy Award), The Pillars of the Earth and Vikings. I hadn’t realized that Bloody Disgusting had previewed the series Main Title Theme on June 23, 2017, but in case you missed their article you can check it out here. The music features a wonderful blend of strings, brass, solid percussion and a hint of chorals. 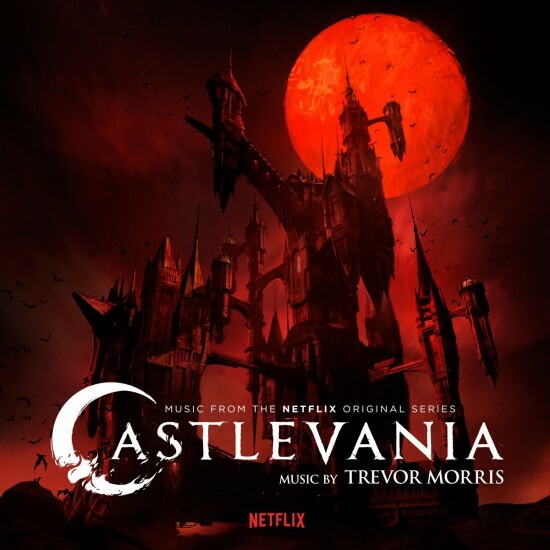 What has me very excited about this is that Trevor Morris has mastered composing for historical period pieces which I think is a perfect fit for the world of Castlevania. The album is available for pre-order digitally on Amazon, iTunes and Apple music here. The soundtrack will be released on CD on August 4, 2017, and was released digitally on July 7, 2017. Lakeshore Records also revealed the album’s tracklist which you can view by clicking further into this article as to avoid any spoilers. Are you excited for this Netflix Original Series? Mondo has announced that they will be making available the fourth installment of their Castlevania vinyl series with the appropriate release of Super Castlevania IV. Hi all – this week, in anticipation of the newly announced Netflix Original Series, we will be releasing the next chapter in our ongoing CASTLEVANIA soundtrack series! It’s one of our favorites of the series, and quite possibly one of our favorite video game soundtrack of all time: the Super Nintendo classic SUPER CASTLEVANIA IV. Unlike the previous iterations of Castlevania music on the NES games, the soundtrack for Super Castlevania IV was able to utilize synthesized instrumentation to achieve a darker and more atmospheric soundtrack, as opposed to the punchier sounds of the NES sound chip. 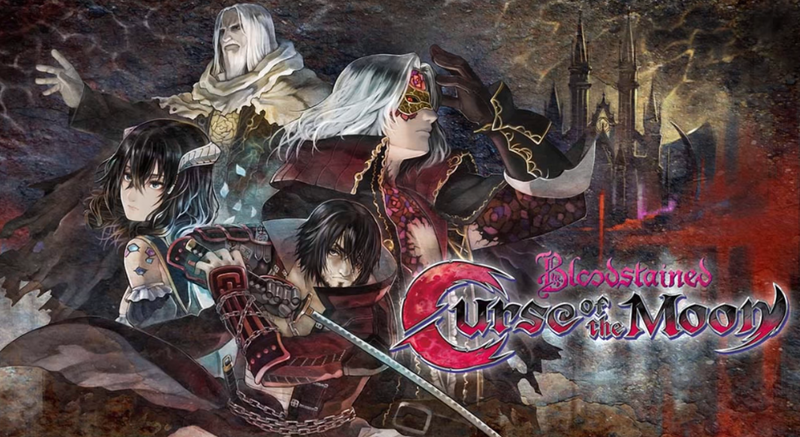 Released in 1991 and one of the first games released shortly after the launch of the SNES, Super Castlevania IV and it’s soundtrack are considered to be some of the franchise’s best work. Looking at this pre-release, I wish I could say I was excited for this album, but I’m really not. While I’ve been critical of Mondo’s artistic choices for the Castlevania albums in the past (I thought the Dracula’s Curse front cover was ridiculously hipster and trying too hard to be artsy rather than recognizable), this particular album art comes off looking lazy. For an officially-released and licensed video game soundtrack album, the artwork looks dull and cartoonish and does not at all mimic the dynamic design of the original game box art. The back cover might be a bit more detailed, but it doesn’t make up for the poor design choice of the front. 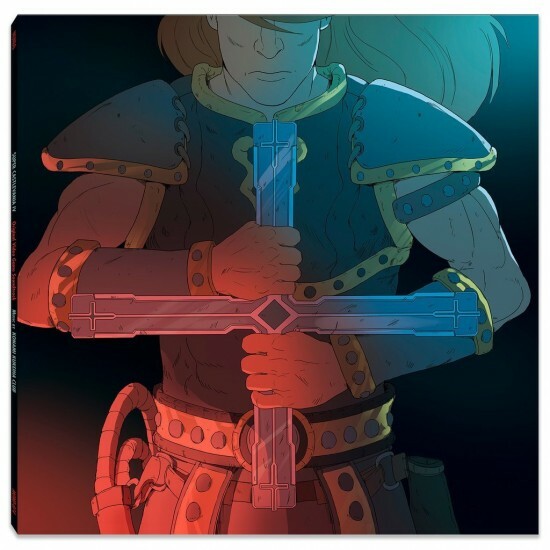 It’s simply an opinion since the game features my favorite soundtrack of the whole franchise and this is an design critique, but I believe the art choice fails to do credit to the legacy that is Super Castlevania IV. It also makes me curious that the composers for Super Castlevania IV, Masanori Adachi and Taro Kudo (under pseudonyms Sotaro Tojima and Masanori Oodachi), are not credited properly. All of the Mondo albums simply list Konami Kukeiha Club with the music credits, which was Konami’s catch-all group listing for their sound team used at the time of SCV4 and other Konami games so that their musicians wouldn’t be poached by other game companies. However composer credits are widely available these days, even on Wikipedia, so why not give credit where it’s due? One wonders if this is dictation from Konami as part of the licensing agreement, or perhaps something else. Hopefully it holds no baring on the quality of the music itself, which has been (appropriately) criticized in the past. 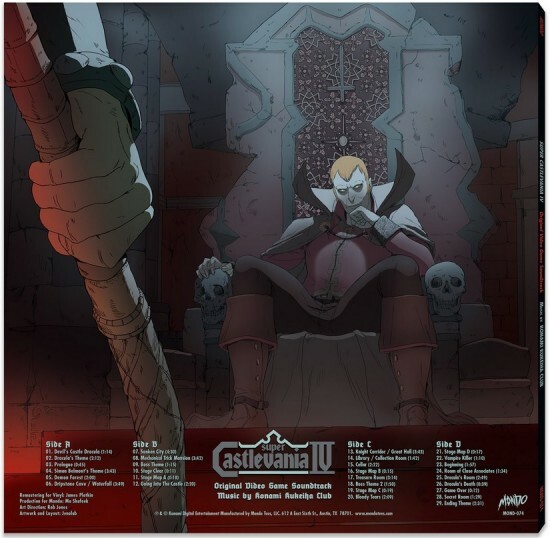 Mondo will be releasing its Super Castlevania IV June 21st at noon (CST) on 2x 180 Gram Bronze and Gold Split Vinyl (Limited to 1,000 Copies) – or – 2x 180 Gram Silver with Red Splatter for $30. They’re also have copies of the Castlevania III: Dracula’s Curse vinyl back in stock. Mondo boasts one more installment in their Castlevania line with Symphony of the Night to be likely announced later this year.